A practical and pretty way to share your wedding cake with guests, these durable boxes have a simple elegance, with their typewriter-style text and pretty love heart design. 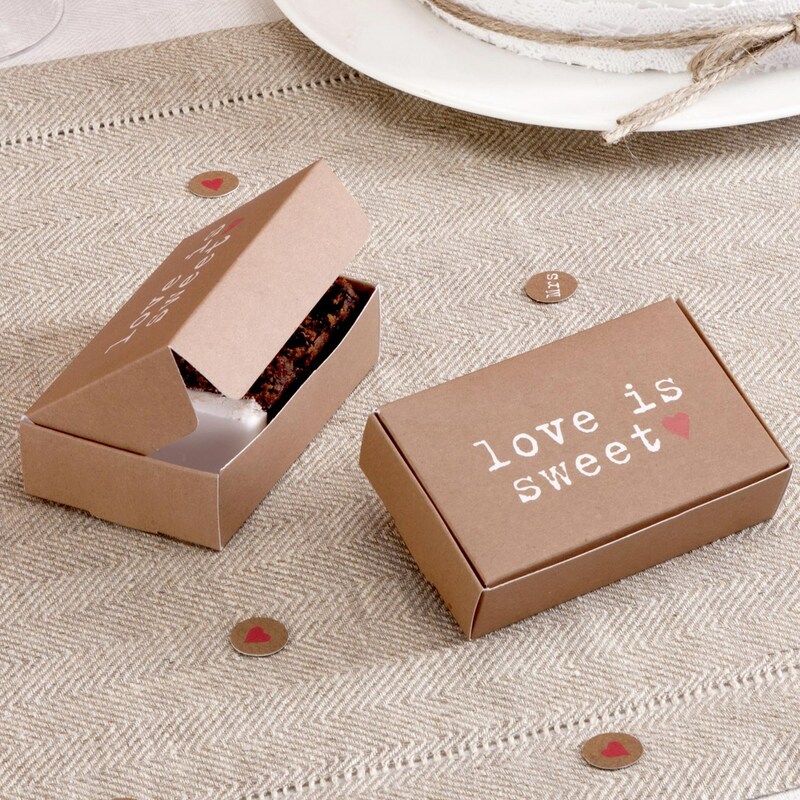 With ample room for a slice of cake, these boxes make a much more attractive and practical alternative to napkins. Each pack contains 10 boxes.